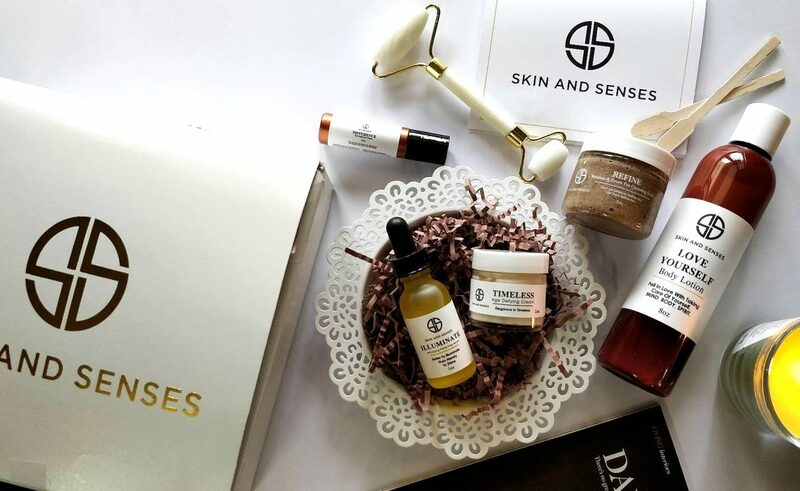 Skin and Senses skincare products is the brainchild of momtastic duo, Kili and Roxy. These two longtime friends and LA-based working moms have spent years in the beauty and fashion industries. 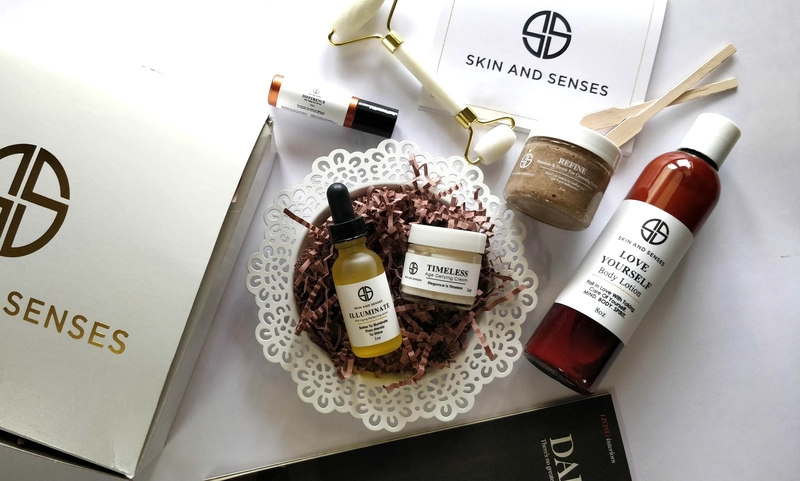 Skin and Senses makes natural skincare for all women, featuring both a main line and a pregnancy-specific line. 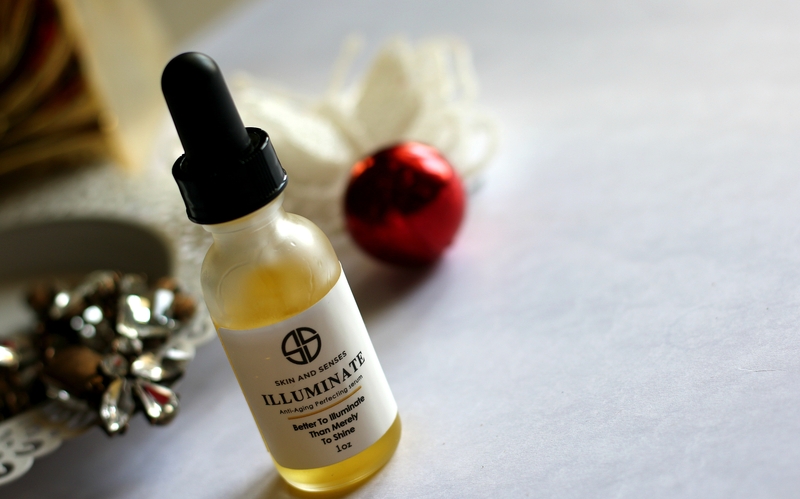 They have a variety of natural skincare products that deliver truly transformative results. In this post I am featuring some of the best skincare buys from the brand. These are perfect to gift your loved one who is skincare obsessed. From cleansers to toners to facial serums to night creams, they got all your essentials are covered. All of their products are formulated WITHOUT Parabens, Sulfates & Phthalates. Their products are Organic, Vegan, Phthalate free, Cruelty free, Non-GMO, Gluten free, Alcohol free, cruelty free as well. Eyes are one of the most delicate area of our face. Under Eyes reveal a lot about your lifestyle habits. Other than for hereditary dark circles, traces of fatigue and stress are found to appear first on under eye area. It’s not to be neglected and always one has to take good care of under eyes, around the eyes etc. 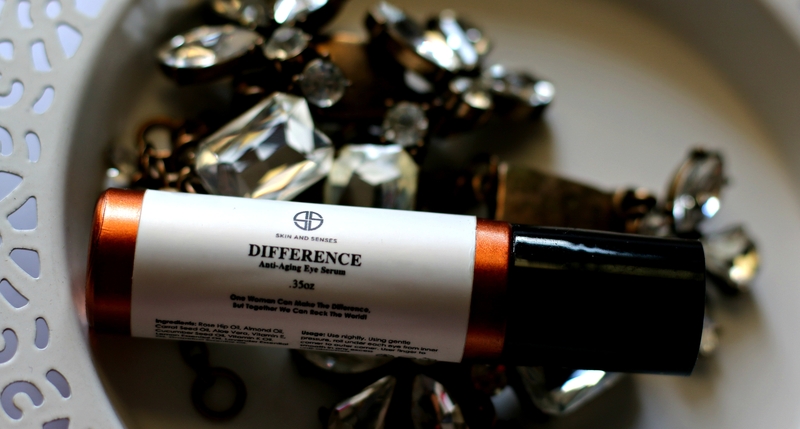 Packaging – Skin & Senses ‘Difference’ is an eye-illuminating oil serum with a soothing Rose Quartz gemstone roller ball massaging applicator. Rose Quartz is a crystal believed to carry a soothing energy to encourage love and acceptance of ourselves & others. It features a rose quartz roller ball eye oil which is formulated to combat the visible signs of aging, fine lines, wrinkles, dark circles, and puffiness. Formulated with Rosehip Oil for fine lines and wrinkles, Cucumber Seed Oil for it’s powerful anti-aging properties and Vitamin K for dark circles. 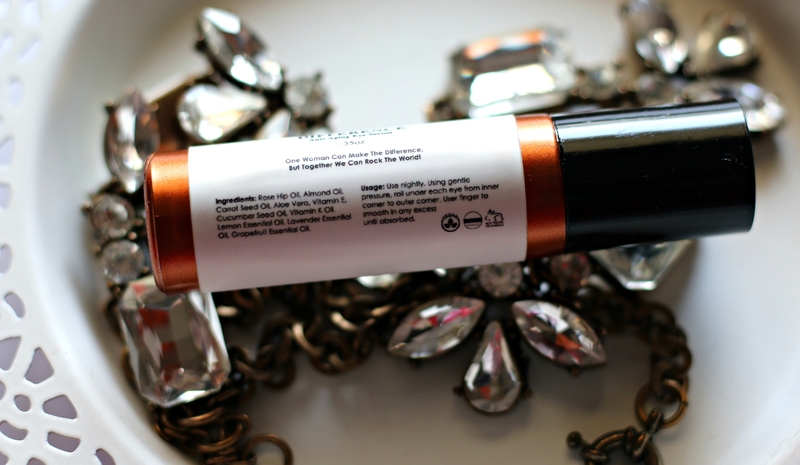 Directions to use – Using gentle pressure, roll under each eye from inner corner to outer corner. Then, you may use your finger to pat any excess until absorbed completely. 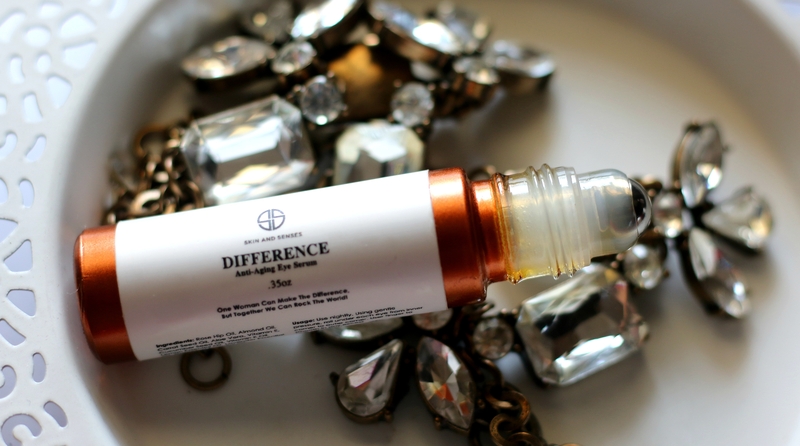 With all these awesome ingredients, ‘Difference’ anti-aging eye serum is perfect for anyone who spend hours and hours in front of laptop &/ digital products. Applies easily. The fragrance is really relaxing. The roll on massage for tired under eyes is my favorite way to relax and de-stress. it absorbs quickly leaving the under eye area hydrated. You can use your eye cream if you want. It doesn’t feel heavy at all. 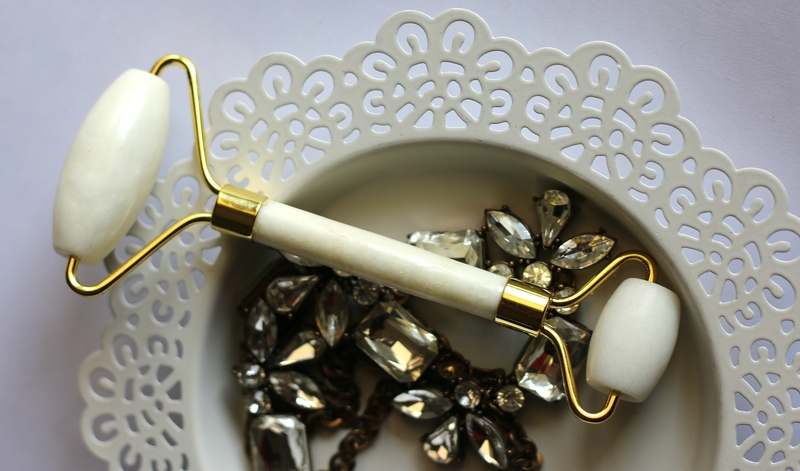 I saw a big difference on my under eye area when used this. 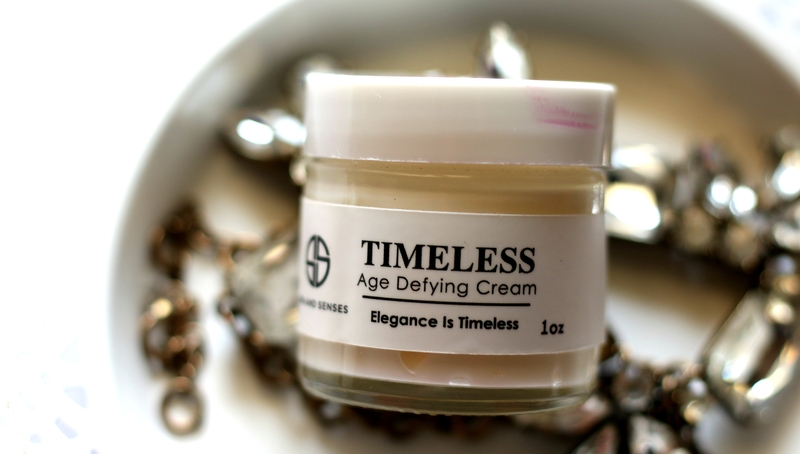 Timeless Age-Defying Cream is an advanced, anti aging moisturizer that visibly firms, lifts, combats deep wrinkles, brightens, and nourishes the face. It gets absorbed into the skin within just a couple of minutes, depending on skin type. Feels smooth upon application with no greasy feel at all. 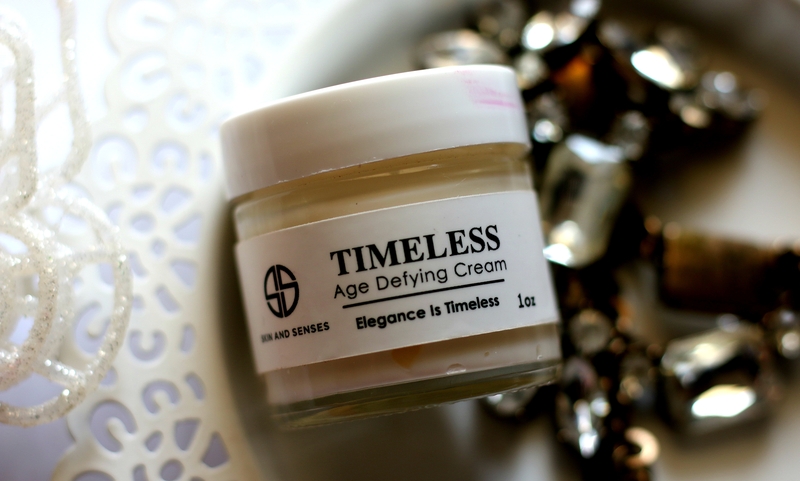 This moisturizer is perfect for day as well as night and sits pretty well under makeup. Featuring an exotic blend of botanicals which are carefully chosen to help prevent the signs of premature aging (such as dryness, wrinkles, age spots, and discoloration) to protect your face. After your regular cleansing & toning, this can be used. Use it AM & PM. It applies smooth on skin. No shine or anything. It sits well under makeup too. 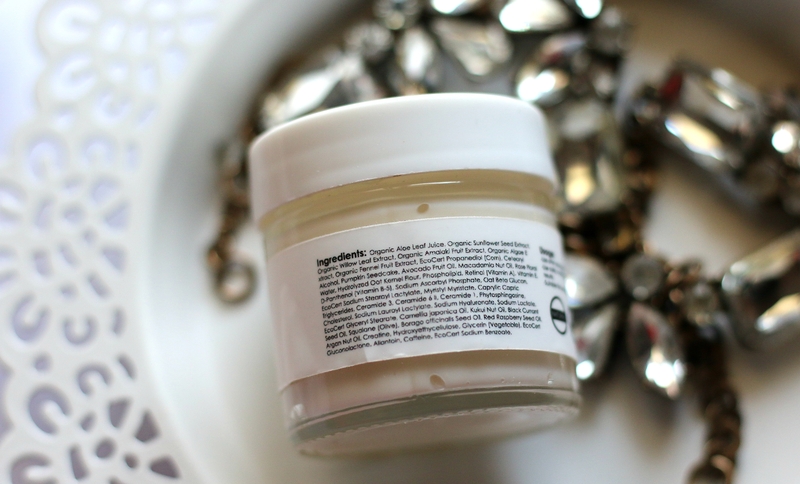 Overall, a day-night moisturizer that contains no nasties. 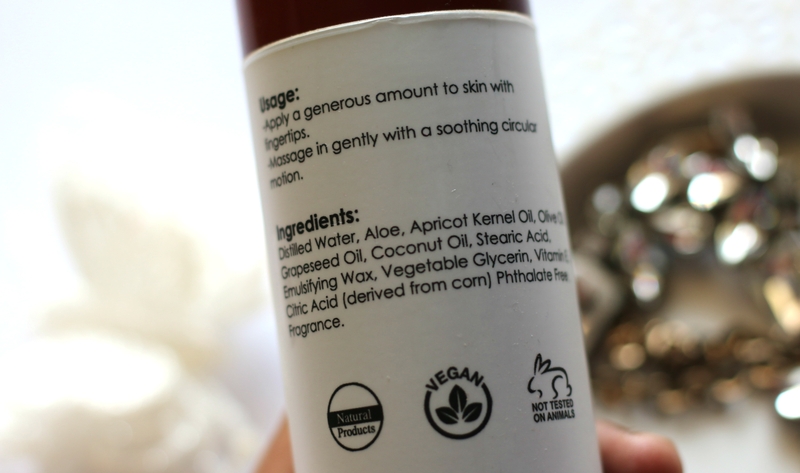 I love how well it blends to my skin without any oil residue. I like to wear it under makeup as well. Give a tightening effect to the skin, helps combat dryness. A facial scrub is a must have. No matter what time of the year it is. Especially, winters can be really harsh on skin. Dry or dehydrated skin with dry patches honestly kill the charm of applying makeup and makeup doesn’t stay well as well of skin isn’t great. 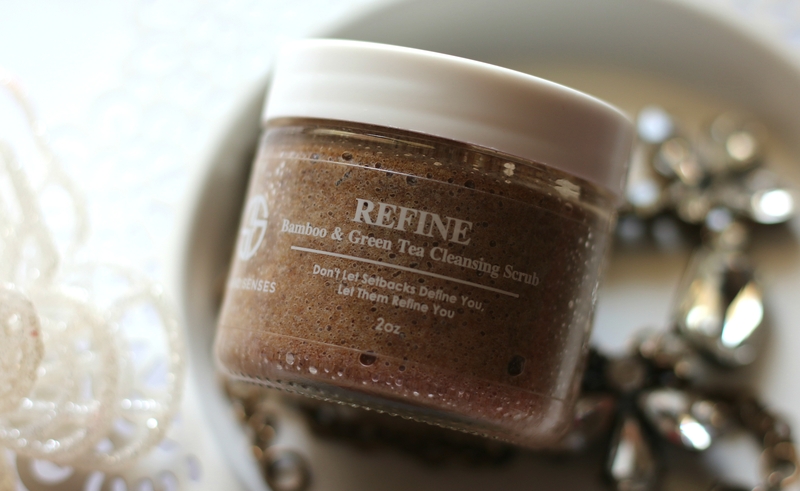 Refine Bamboo & Green Tea Cleansing Scrub is very thick. Especially, the texture of the bamboo powder is grainy and dense. 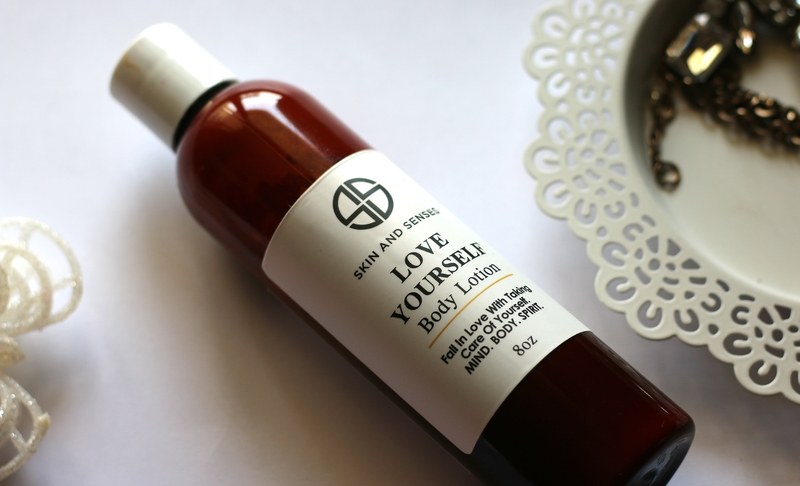 Directions to use – Apply all over your body in the bath or shower using circular motions. Concentrate on dry areas, including your feet, knees and elbows. Rinse thoroughly. For Face, After cleansing your face, on wet face – apply a small quantity of scrub and in circular motions exfoliate to remove any dead skin cells etc. Wash with cold water and apply a moisturizer. You just need very little amount for the entire face. 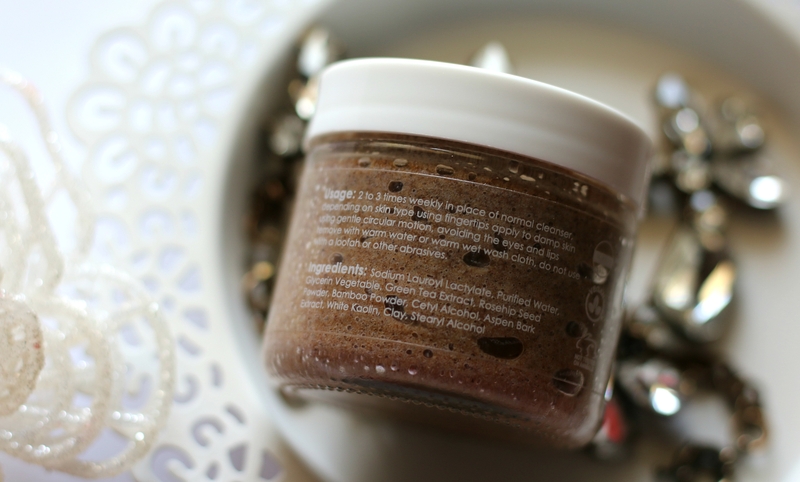 Wet your face and using this scrub, gently exfoliate the area. Skin feels certainly smooth and fresh. You have to make sure; You are not going too harsh (not too harsh while exfoliating) on skin using this. 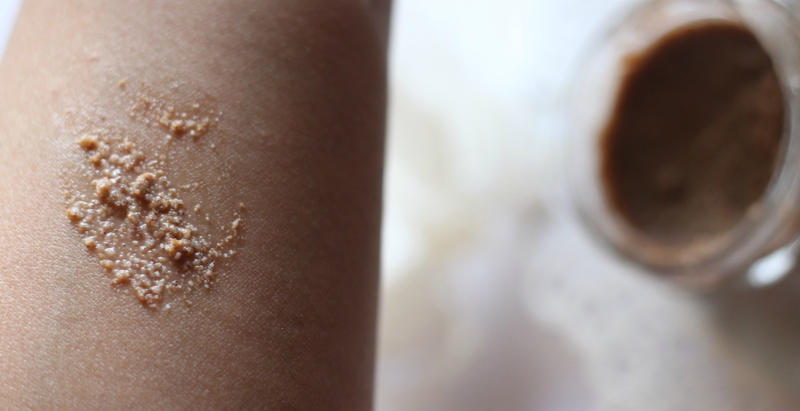 It’s grainy and dense and so, it can irritate skin too if not used in the right way. Right from the first wash you’d really notice a difference on your overall skin. A microdermabrasion in a bottle I’d say. Reveal a smoother, more radiant, younger look and wake up to more beautiful skin every day. 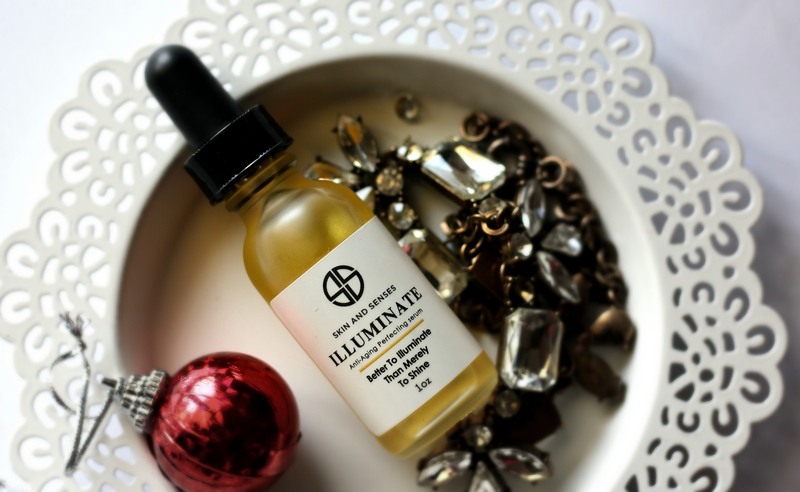 This powerful serum dramatically reduces the look of key signs of aging, while maximizing the power of skin’s natural nighttime renewal with a blend of potent plant based superfoods that nourish and hydrate normal to dry, problematic, or mature skin. It improves the appearance of fine lines and wrinkles, and leaves skin smoother, stronger, and more hydrated. With regular use, you will visibly notice tighter, brighter, smoother youthful looking skin. The aromatherapeutic scent promotes a calm mind and helps relax your body. This is my favorite product from the brand out of the ones that I tried. This serum has the consistency of a oil blend. To use it – Apply 4-5 drops in the palms, rub together and take a deep breath; Did I tell you – It smells heavenly. Smooth over clean face and neck. 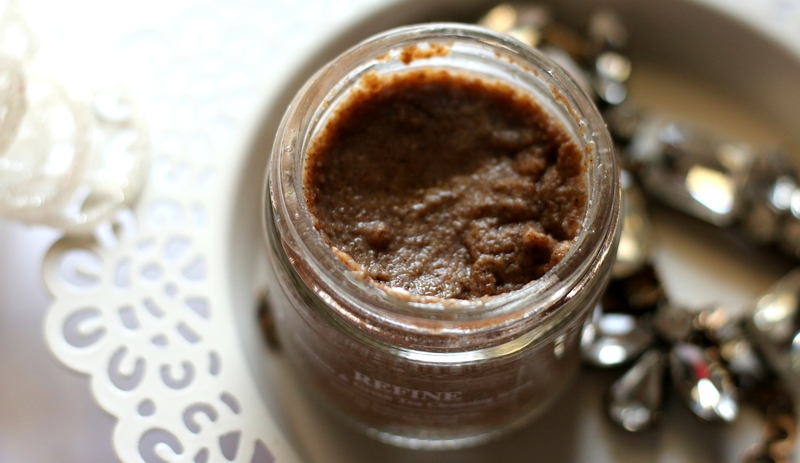 You may also use this to mix with your favorite night cream or moisturizer. Skin feels hydrated and has a healthy glow if used regularly. The glass bottle with a dropper packaging makes it convenient to use. If I am to suggest one product from the brand. It has to be ‘Illuminate’. Squalane, Pomegranate Seed Oil, Avocado Oil, Jojoba Oil, Meadowfoam Seed Oil, Calendula, Almond Oil, Vitamin E, Carrot Seed Oil, Proprietary Blend of Essential Oils. A must buy product from the brand. It has a very relaxing aroma upon opening. No overpowering smell etc, Brand claims – With regular use one can combat visible signs of aging. 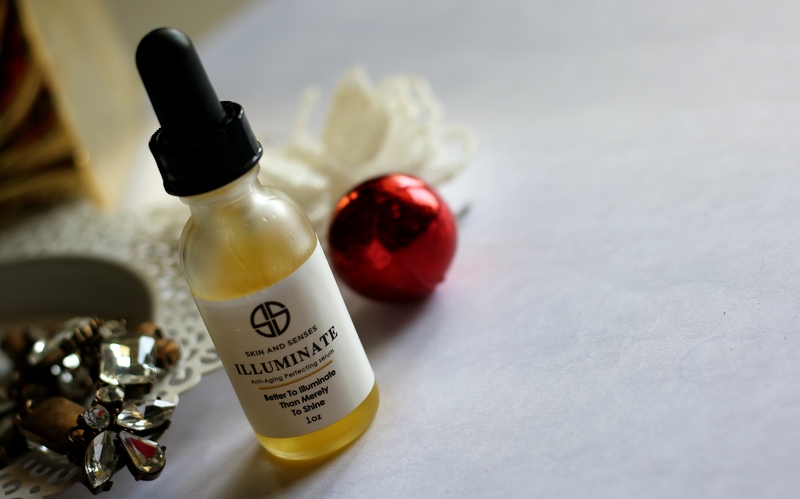 For me, this is one of my favorite night time facial oil and it’s very hydrating too. Didn’t cause any irritation or breakouts. Face felt smooth to touch as well. 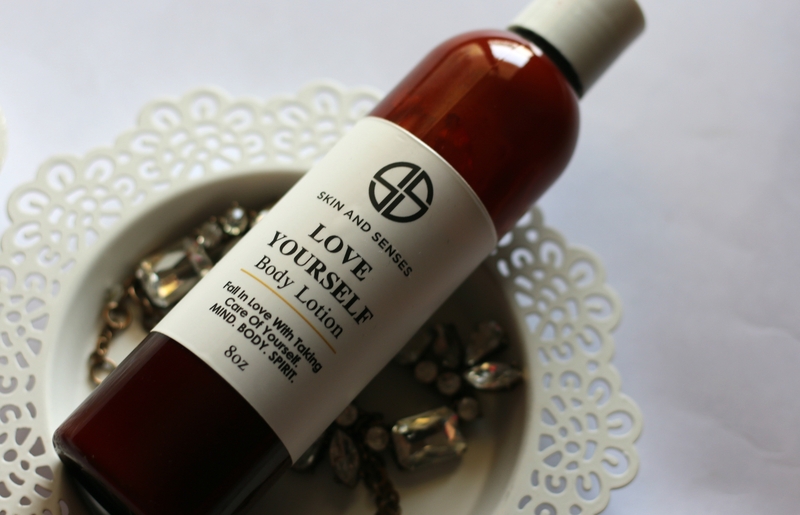 Love Yourself is a highly nutritious, multipurpose body lotion containing protein, minerals, and vitamins. Olive Oil penetrates deeply conveying powerful antioxidant protection to your skin, while an excellent source of fatty acids, Apricot Oil increases this lotions ability to moisturize, soften and repair damaged skin. packaging is convenient ot use. The squeeze type bottle with the lotion kind of end makes it easier to dispense as well. This soothing lotion nourishes and delivers lasting hydration, while softening the feel of rough texture and improving the look of skin tone. It leaves skin feeling softer, healthier, and radiant. 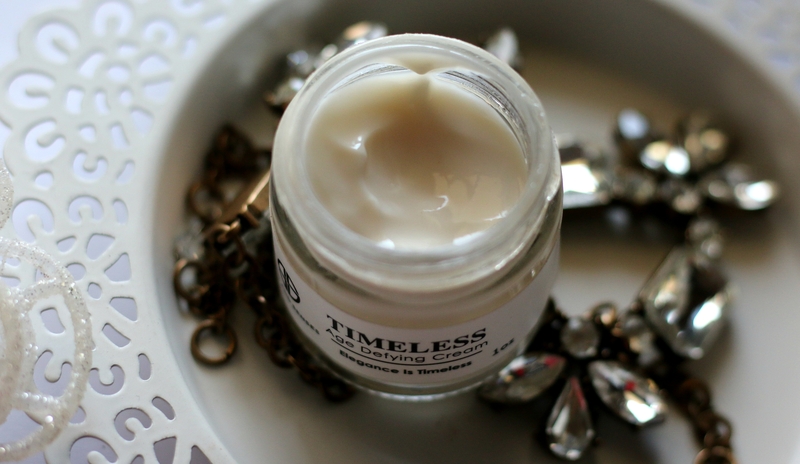 The beautiful blend of our Luminous Cream scent is stylish, lively and inquisitive. It’s a scent that evokes sensuality, gentleness, and passion. It has notes of pink cotton candy, sweet lemon drops, raspberries, fig leaves, caramel, Sicilian orange, Barbe-a-Papa, Lily of the Valley, and powdery vanilla musk. Playful, mischievous, romantic. The Luminous Cream scent is for the skin, for the body, for the heart, for the soul. Overall, I love this body lotion. The fragrance is perfect. It applies easily on body without leaving any residue. It smells awesome. I get that Christmas vibes when using this. I had heat rashes on my skin and using this body lotion I was able to get rid of the body acne and dry patches on the body. You can use it day as well as night. Place inside freezer and use on the under-eye area to constrict blood flow and reduce the appearance of dark circles. 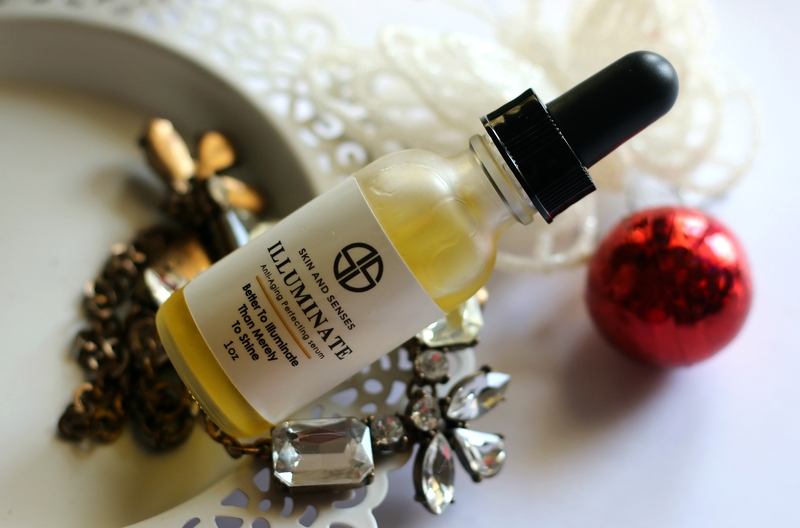 Use over your favorite serum to enhance benefits. Directions to use – Start by working on one side of the face and repeat on opposite side. Each movement can be repeated 4-6 times. Using the large part of your roller, begin on neck center and roll outward. On the chin, slide outward following jaw line toward the ear. Place the roller next to the mouth and gently slide upward. Starting next to the nostrils, drain outward toward the ears. Using the small part of your roller drain up next to the nose. Slide outward under the eyes toward the temples. 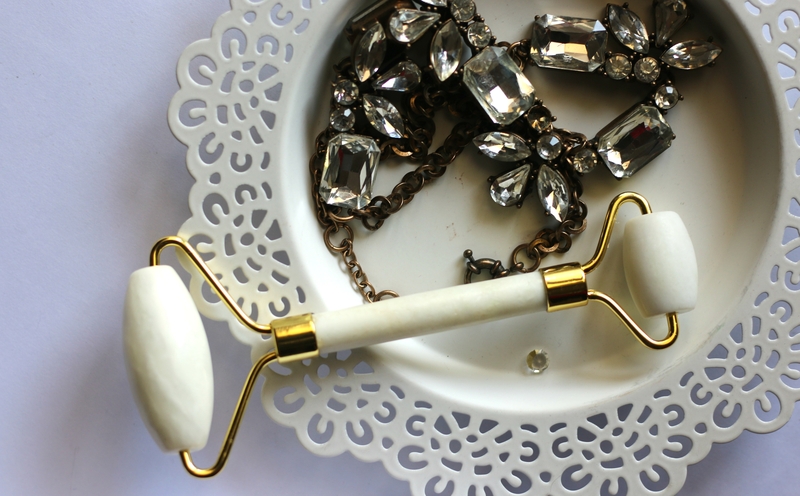 Change to the large roller and begin between the eyebrows slide up toward the hairline. Drain upward and outward on entire forehead. 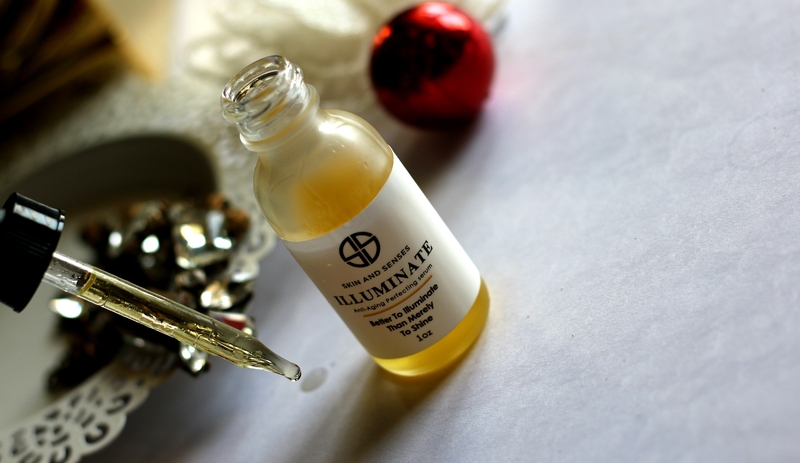 Overall, these are excellent natural skincare gift choices. LA-based beauty and skincare brand that handmakes all of their face and body products in small batches to ensure freshness and quality. All of their products are vegan, cruelty-free, and free of GMOs, phthalates, parabens, sulfates, unnatural preservatives, and synthetic colors. 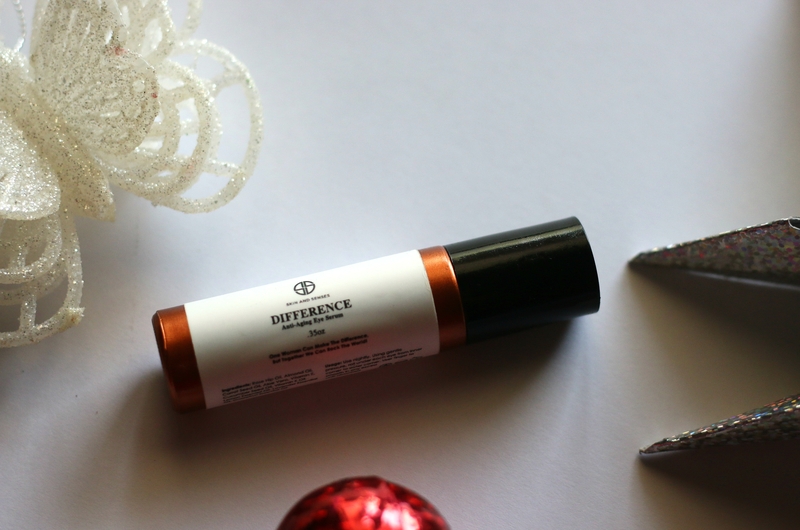 Skin and Senses products make such perfect stocking stuffers. Their line have body, face and even pregnancy safe skincare products. For a Limited Time, their seasonal scent Pumpkin Cashmere is also available for selected products, This is the right time to explore their products and checkout your favorites! The whole range looks so soothing to the eyes. Even I am planning to buy a Jade roller. This looks quite promising.